Last week, Jerry and I were super excited to receive an invitation to an advanced screening of Disney’s Maleficent. This movie has been hotly anticipated for months and with good reason. After seeing Angelina Jolie as the infamous villian, I will never imagine her any other way. 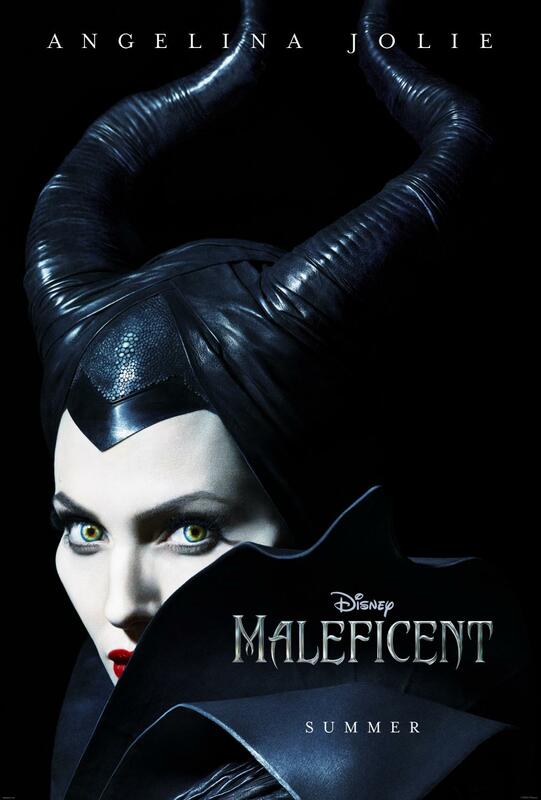 The film stars Angelina Jolie as Maleficent, Sharlto Copley, Elle Fanning, Sam Riley, Imelda Staunton, Juno Temple and Lesley Manville and while each actor did just fine, Maleficent was definitely the Angelina show. As promised, this new version tells the story of why the dark fairy is so thirsty for revenge. With a PG rating, there were definitely moments that would be too intense for my kids (ages 5 and almost 3), but I think most elementary-aged kids and older would do fine with the conflict. It almost goes without saying that Angelina Jolie was practically born to play this role. The moment her role was announced it just seemed perfect and the film lived up to my high expectations for her performance. She was both villainous and strangely likeable, which I was not expecting. This was a lighter telling of the story than I thought it would be. I was expecting a very dark movie and while there were definitely dark scenes, there were quite a few lighthearted and even humorous moments. You may or may not know that Jolie’s own daughter, Shiloh, plays the young Princess Aurora and this was one of my favorite scenes from the movie. Visually, this movie is just plain fun. I loved the large shots with scenery of the kingdom or pretty much any time Maleficent’s wings were on the screen. The colors were so beautiful and dreary at the same time. It really drew me in. There were a few particulars that didn’t float my boat for this movie despite all the strong points. The CGI seemed to break down for me when the high-color fantasy characters were on the scene. I understand they were supposed to represent a brighter, happier time, but something about them just didn’t work for me. Maybe that was intentional too. I don’t know. I could have done without the pink and purple flying creatures in favor of more trees and vine beasts. Jerry and I discussed this and we wondered if it was because we saw the 3D version. We are pretty picky about what we see in 3D and I think for Maleficent, we would have enjoyed it more without that added effect. As I said earlier, Angelina was the star of the show. So much so that the other characters are barely memorable. It wasn’t that they were terrible. I just wish they had a bit more character depth and development. I feel like King Stefan in particular could have been so much more than they made him to be. My recommendation? See the movie. It is a fun summer film and Angelina alone is worth your time. Maybe skip the 3D version and spend that money on more popcorn! Have you seen Maleficent? What did you think? Well said. The fantastical colors mixed with 3D didn’t work for me, either. Neither did her cheek bones. Also, the lip sync of the CGI Fairies was terrible. The guy who played the Bird Man was the best, IMO. I did love her sidekick and the cheekbones! I thought they were awesome. I didn’t mind any of the CGI effects. It felt like the perfect fantasy story to me. But I do agree that King Stefan needed more depth and I felt part of the story was missing with the three fairies. What it honestly felt like to me is that they cut a lot of character development for the sake of time. I wouldn’t have minder a longer movie but I’m guessing they had to keep it short for the sake of the younger audience. I agree. I think another 10 minutes or so could have done a lot. But it was still good! I 100% agree about King Stefan. SNOOZE! I wanted more!